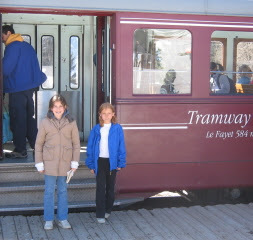 Paul, Libby and Megan getting ready to ride the Mont Blanc Tramway. 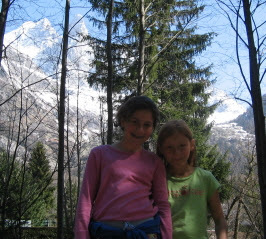 Libby and Megan hiking in Chamonix. 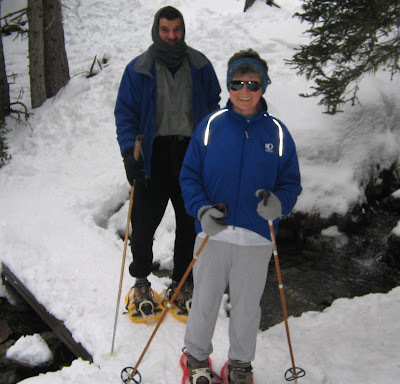 Paul and Jill snowshoeing on Chamrousse. 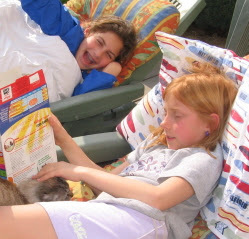 Libby and Megan relaxing on the deck after skiing. 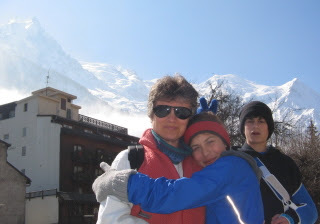 Jill, Libby and Sam in Chamonix. 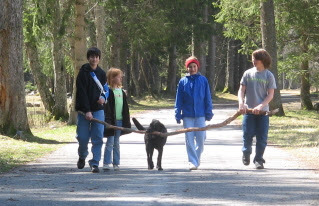 Sam, Megan, Libby and Jeff with a dog that followed us for the entire hike in Chamonix. 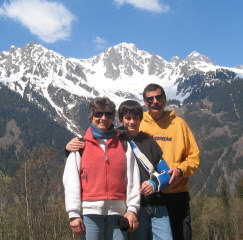 Jill, Sam and Paul in Chamonix. 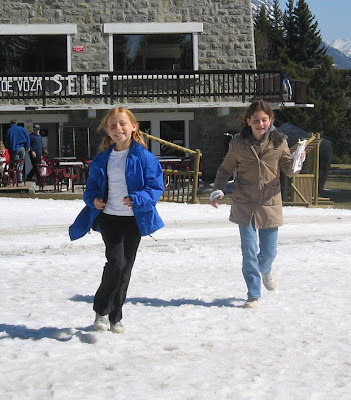 we look so cute together! did you change your hair? get bangs did you?